How I Resist is the response, and a way to start the conversation. To show readers that they are not helpless, and that anyone can be the change. 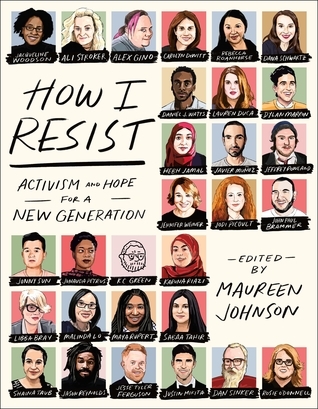 A collection of essays, songs, illustrations, and interviews about activism and hope, How I Resist features an all-star group of contributors, including, John Paul Brammer, Libba Bray, Lauren Duca, Modern Family's Jesse Tyler Ferguson and his husband Justin Mikita, Alex Gino, Hebh Jamal, Malinda Lo, Dylan Marron, Hamilton star Javier Muñoz, Rosie O'Donnell, Junauda Petrus, Jodi Picoult, Jason Reynolds, Karuna Riazi, Maya Rupert, Dana Schwartz, Dan Sinker, Ali Stroker, Jonny Sun (aka @jonnysun), Sabaa Tahir, Daniel Watts, Jennifer Weiner, Jacqueline Woodson, and more, all edited and compiled by New York Times bestselling author Maureen Johnson. I have rather mixed feelings about this book. On the one hand the topic is a timely and important one and some of the articles have great advice for young people who want to get involved. On the other hand, the quality of the material varies from entry to entry, just as one would expect with a book with multiple contributors. Some of the articles I really enjoyed such as Hebh Jamal, who talks about activism as a grassroots effort that begins with people being willing to think, Rebecca Roanhorse, who talks about resisting in the very ways we live our lives, Dan Sinker, who points out the value in learning to make things, and Maya Rupert, who talks about her desire for a black Wonder Woman. Other entries didn't resonate with me as much and even came across as confusing or just a bit odd. The interviews could have used some more context and direction, they felt a bit wandering. This would be a valuable book for teachers to use in teaching civics and activism and comparing and contrasting people's ways of resisting. Some of the entries are very anti-Trump while others are more generic. This works best as a browsing book. I wouldn't normally have sat down and read the whole thing and I don't think most young people will either. But there are some valuable ideas here and the idea of encouraging young people to stand for what they believe is a powerful one. At thirteen, bright-eyed, straight-A student Sara Saedi uncovered a terrible family secret: she was breaking the law simply by living in the United States. Only two years old when her parents fled Iran, she didn’t learn of her undocumented status until her older sister wanted to apply for an after-school job, but couldn’t because she didn’t have a Social Security number. Fear of deportation kept Sara up at night, but it didn’t keep her from being a teenager. She desperately wanted a green card, along with clear skin, her own car, and a boyfriend. 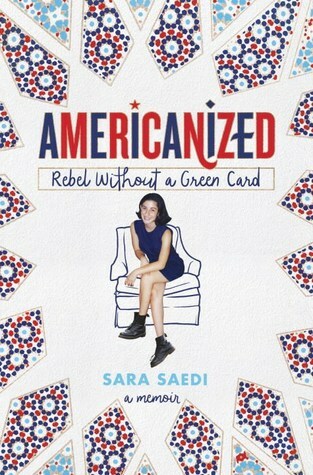 Americanized follows Sara’s progress toward getting her green card, but that’s only a portion of her experiences as an Iranian-“American” teenager. From discovering that her parents secretly divorced to facilitate her mother’s green card application to learning how to tame her unibrow, Sara pivots from the terrifying prospect that she might be kicked out of the country at any time to the almost-as-terrifying possibility that she might be the only one of her friends without a date to the prom. I often enjoy memoirs. There is something fascinating to me about getting a peek into someone else's life, especially someone whose life is so different than my own. I grew up during the same time period as Saedi, but my experiences, unsurprisingly, were very different. As an Iranian immigrant, one who was illegal for many years, she has some interesting insights into what it's like to grow up being tied to two cultures. The contrast between her 'Americanized' upbringing and the experiences of her parents and other relatives was intriguing to read about, but naturally caused some issues in their relationships. While some of her experiences are pretty typical of teenagers even today, others are much less common. She tells about her crushes on boys, her relationships with her family, and going to school. She even shares entries from her diaries. The parts I found the most interesting though were the ones about being an illegal immigrant and the fear and emotional toll that it took on her and her family. I was shocked that it took 15 years for her to finally become a legal citizen despite her families best efforts. And the details about Iran and its culture were insightful and informative. She also writes in a way that many teenagers will find easy to relate to, despite her age and growing up in a different time. An enjoyable read, but not necessarily an award-winning one. We have so many of those Collections like the one by Maureen Johnson to evaluate this year, it is hard to distinguish one from the other. I agree that the project should have a focus so that the collection as a whole has a theme that is clearly recognizable. 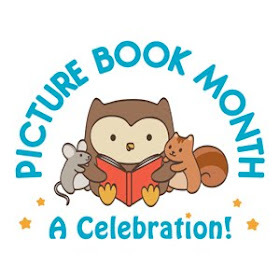 I think i have read about eight such collections (or portions of) so far this judging season. Ugh. I wasn't able to finish Americanized. I couldn't get past the question, "What teenager today would be interested in her message when so much is focused on 1980s pop culture and Iranian culture?" I agree that the timeliness of the message, illegal immigration, is good. SERIES THURSDAY: Raid of No Return/Lafayette!